Communication is fundamental to human existence - we need to understand how people communicate with each other, both verbally and visually. From understanding language to understanding politics and even understanding mindsets, communication is also a major theme at ECU. Here, you can study courses as diverse as Media and Communication, Criminology, or Design. Or choose from Psychology, Contemporary Arts or Counselling courses. If you have a passion for communication and for understanding the human condition, this is a study area that offers exciting employment or self-employment opportunities. If you already have something in mind, you can choose an Arts & Humanities discipline to explore course options. ECU is WA's top university for teaching quality, skills development, learning resources, student support and quality of educational experience in the Creative Arts discipline. ECU is also the top-ranked public university in Australia for undergraduate teaching quality in 2019. ECU is Australia’s top university for teaching quality and skills development in the Humanities, Culture and Social Sciences discipline. We're also top uni in Western Australia for overall education experience, teaching quality and learning resources in this discipline. 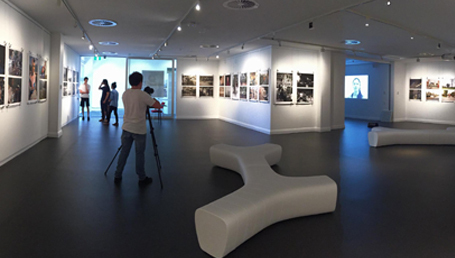 ECU Mount Lawley's Gallery 25. Each year, our Media and Communication, Design, and Contemporary Arts students are expected to exhibit their creative work in a number of ways. For example, film and video students have film screenings, while fashion students put on catwalk shows captured by photomedia students, and journalism students have their own magazines, often illustrated by design students. At the end of your degree, you may also participate in our graduation shows. These shows attract thousands of people to our Mount Lawley campus, including industry professionals who are searching for upcoming talent. Kristy Brittain, ECU Social Science graduate. We are the only university in Western Australia to offer specialised majors in Children and Family Studies and Human Services within a Social Science program. This gives our Social Science graduates a broader range of career options. Our course structures allow you to specialise in one area, or gain expertise in multiple areas. We know that the more multi‑skilled you are, the more likely you'll be able to succeed in today's complex technological, social and creative world. To increase your chances of finding employment, we mix practical, hands-on experiences and industry placements with a solid theoretical background. At ECU, we group similar fields of work into study areas – Arts & Humanities is one of them. Within each study area you can choose a degree, for example a Bachelor of Arts or a Bachelor of Counselling. For some degrees, you can choose a speciality, or major, like Advertising, Fashion, History or Children and Family Studies – or even a double major. Postgraduate degrees involve coursework or research. For example, a Master of Design (by coursework), or a Master of Criminal Justice by Research. Combining an Arts & Humanities degree with a degree from another ECU school can open up greater employment opportunities. Balance your study with your life. Why study online? At the School of Arts and Humanities, we strive to produce graduates who have an informed, critical and creative approach to understanding the world around them. Central to this approach is an emphasis on hands-on experiences, where students benefit from using our state-of-the-art facilities. School of Arts & Humanities new arts hub at Mount Lawley. Meet a diverse group of students who are studying an equally diverse mix of courses at ECU Mount Lawley. "ECU provides an amazing learning experience." "I’m surrounded by people like myself that are filled with creativity and want to build on and share their passions. The course structure is perfect for me as it lets me combine units from all the areas I’m interested in. The positive and energetic atmosphere of the university creates a unique and enjoyable way to study. The wide range of units lets you explore new and exiting areas of your chosen field and with the support from lecturers and fellow students, you receive an amazing learning experience." "The undergraduate broadcasting course is extremely practical." "ECU’s Mount Lawley Campus has a really laid back atmosphere, and from my experience all lecturers have been extremely good – both friendly and knowledgeable. The students in my year in the Broadcasting course are a really close-knit group of people. It’s so cliché but it really is a family, and they’ve made my uni experience so much better." "I’ve made friends and professional connections that enrich my life." "I never expected to experience such a wonderful rapport with both the staff and students here at ECU. My lecturers were always willing to arrange times with me to discuss my work and other aspects of psychology. They were so passionate and have inspired and encouraged me to forge my own path. I feel that I’ve made friends and professional connections here that will enrich my life beyond my career." "ECUs social work lectures were a valuable resource." 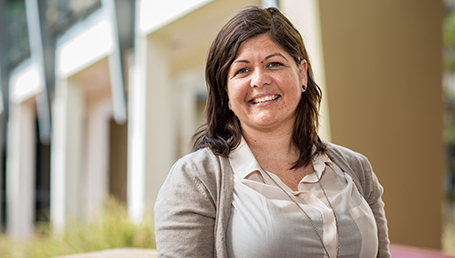 "Returning to study after 10 years in the workforce was certainly a challenge, but ECU’s Social Work lecturers proved to be a valuable resource. Their knowledge, experience, level of professionalism and passion for education really helped grow my confidence and adjust to student life."